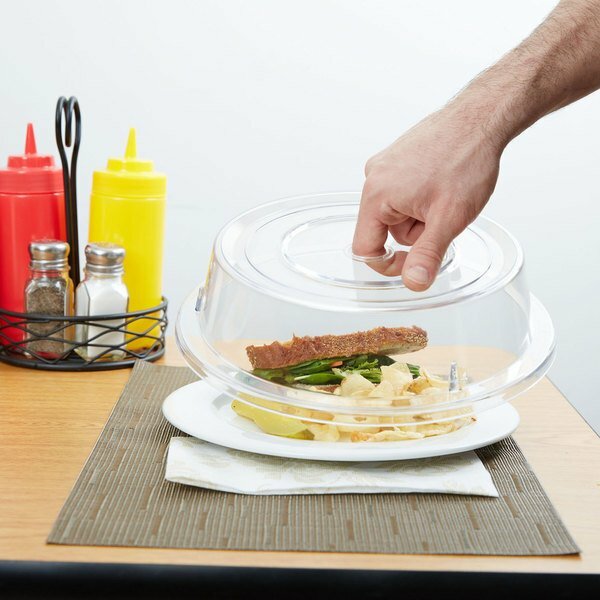 Provide impeccable in room meal service at hotels, hospitals, banquet halls, or assisted living communities without the frustrations of traditional plate covers with this Cambro Camwear 9011CW152 clear Camcover 10" plate cover. 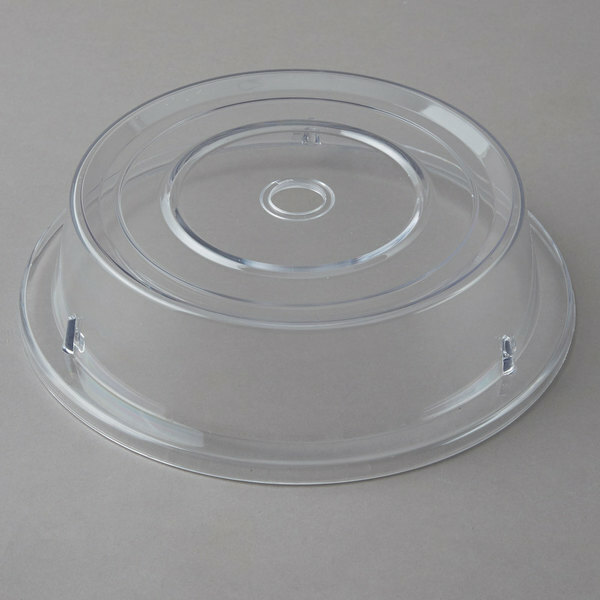 Made of polycarbonate plastic, the Cambro 9011CW152 Camcover 10" plate cover keeps your heated foods protected and at food safe holding temperatures longer than comparable metal plate covers. 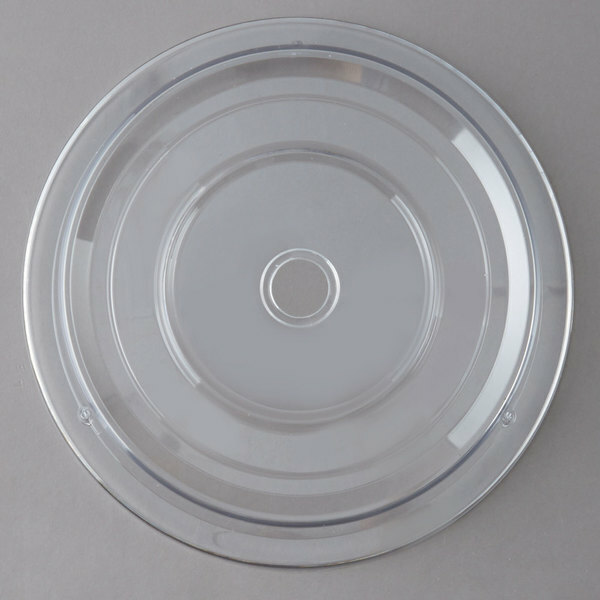 The Cambro 9011CW152 Camcover plate cover is available in several colors to best suit your business's decor, as well as clear to help speed up service. 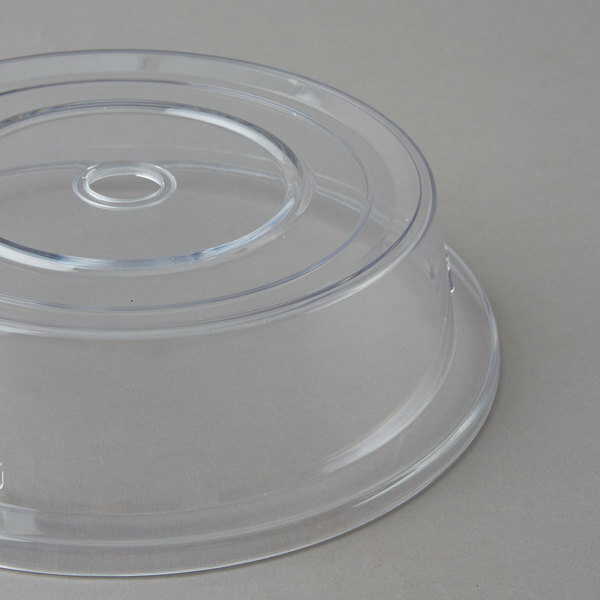 It is safe for use in heated carts up to 210 degrees Fahrenheit. 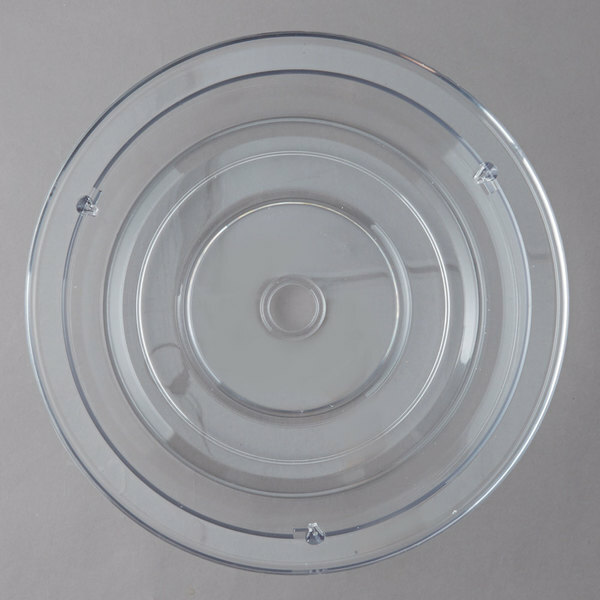 The Cambro Camwear 9011CW152 Camcover plate cover has an inside diameter of 10", and an external height of 2 7/8". Fantastic plate cover! Highly durable material makes cleaning easy! 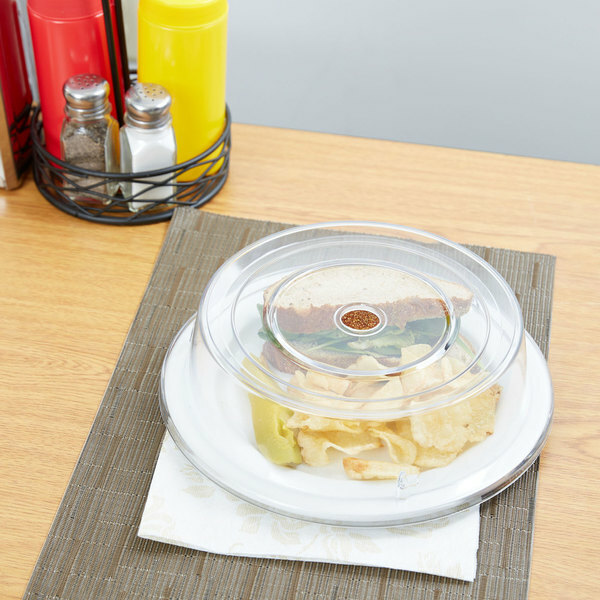 Great for keeping food piping hot! Works wonders if you preheat the cover! Good variety of colors sure to fit any preference!